He first became interested in dance by going to discos. After winning a disco dancing championship in Germany, Marco Berrettini trained at the London School of Contemporary Dance, then at the Folkvangschule in Essen. With his company *Melk Prod, since the late 1990s he has created around thirty shows that are deliberately caustic and iconoclastic. In My Soul is My Visa, five performers and a piano work in harmony with the flow of funk and soul; an alliance of musicality and gestures in a lively repertoire ranging from Erik Satie to Tom Johnson, from Beth Gibbons to Nils Frahm, from Nina Simone to Meredith Monk. The choreography becomes a living organism, an abstract and repetitive structure within which very singular presences assert themselves. 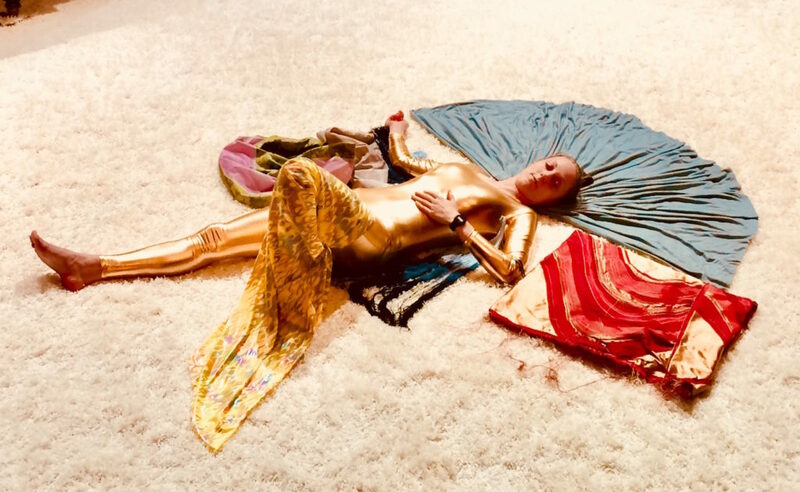 The coloured and golden costumes by stylist Olivier Mulin (who started his career with Jean-Paul Gaultier) compete to give to the surrounding groove a touch of eccentricity, the signature of Marco Berrettini who is consummate at subverting appearances..